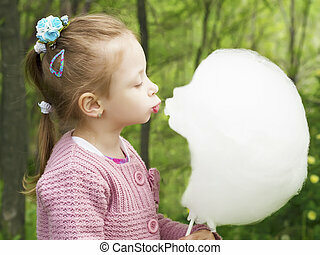 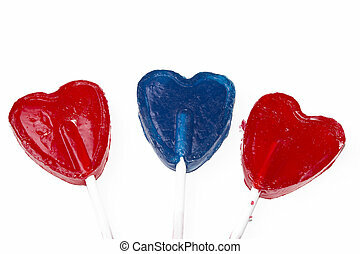 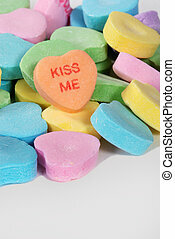 Candy kiss. 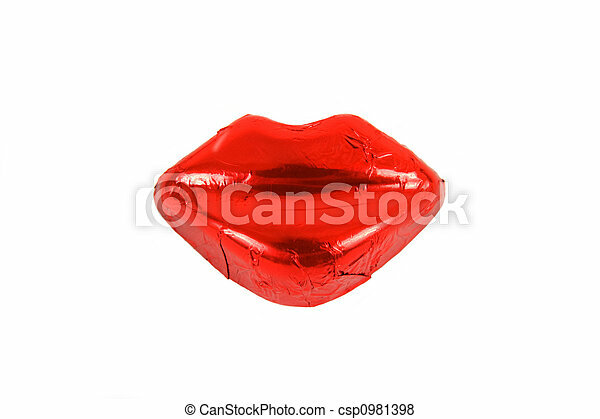 A candy pair of bright red lips against a white background. 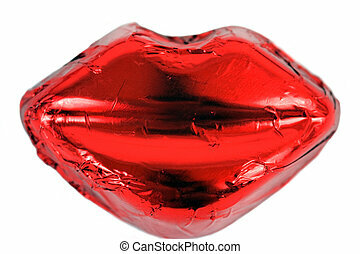 Candy kiss on red lace heart. 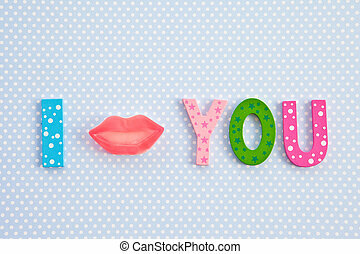 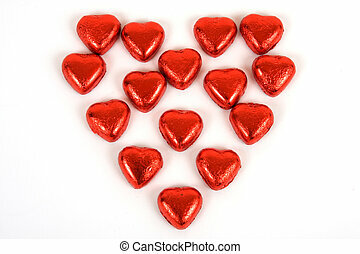 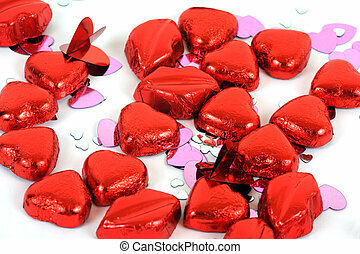 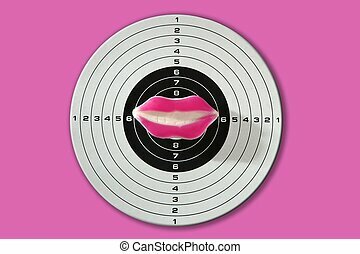 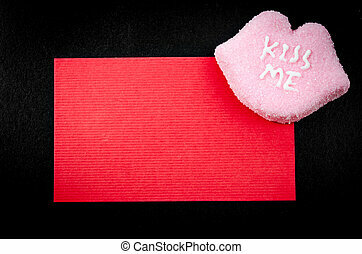 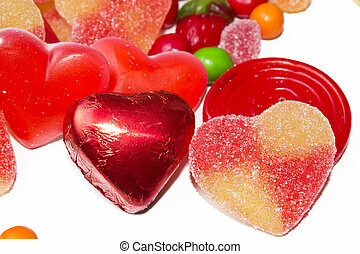 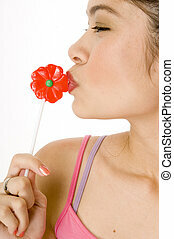 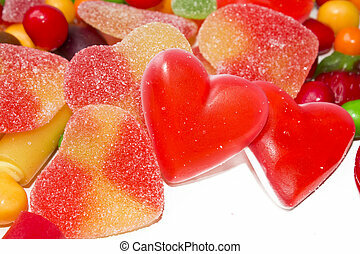 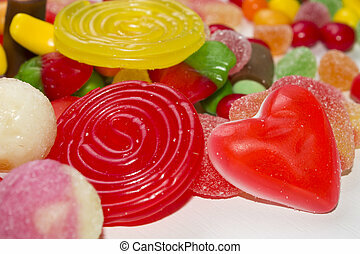 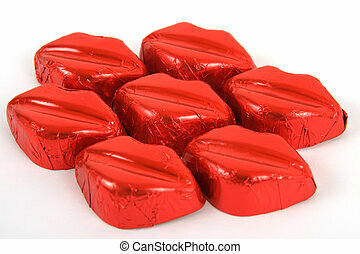 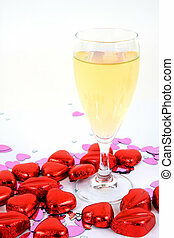 Blank Red card with candy kiss me for your text valentine on black background. 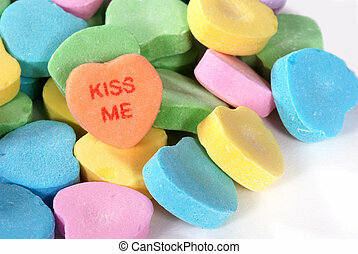 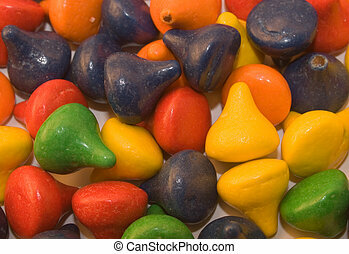 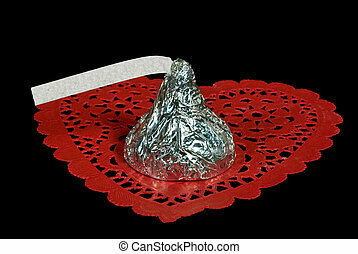 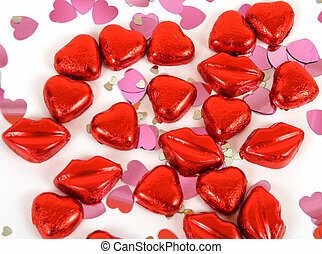 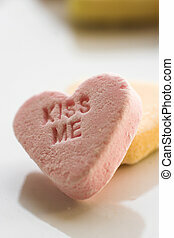 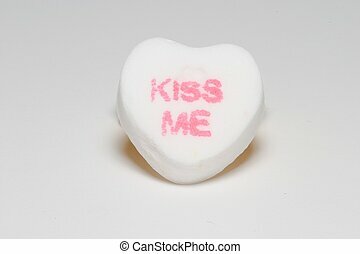 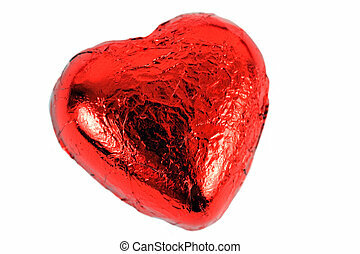 A candy heart inscribed with the message, "Kiss Me!"